For Cassie James, salvation for her young family came through social media. A bad wreck five years ago had left her husband, Billy, unable to work. With their four children, ages 8 to 1, they were living on her pay as a nursing assistant who commutes to a Winston-Salem hospital to work three 12-hour shifts per week. Home was a rented a 45-year-old, 950-square-foot mobile home. The baby slept in the living room. 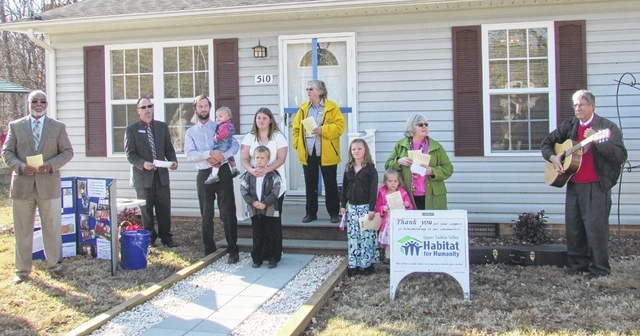 Cassie was on Facebook when she found the Upper Yadkin Valley Habitat for Humanity page, and hope was born that she had a way – with yet more work – to get her family out of a cramped, outdated box and into a real home. A home that they would own. The Jonesville property had been donated to Habitat; the extensive renovation – the house is sparkling, looking brand-new, inside and out – was done as part of the State Employees Credit Union Foundation’s Mountains to the Sea Challenge. 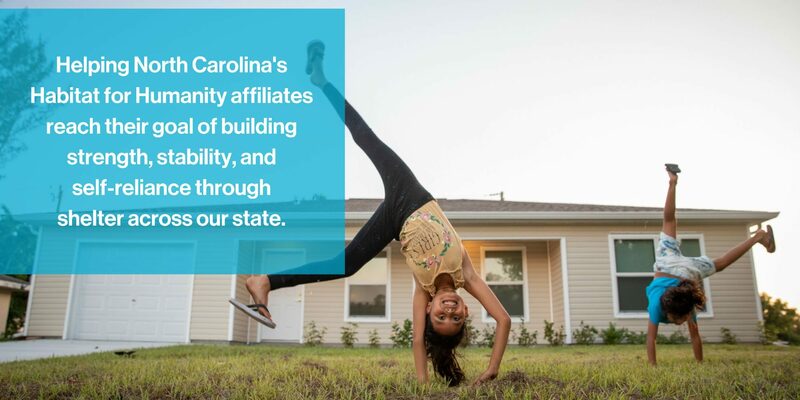 The three-year goal is to build a Habitat for Humanity home in each of North Carolina’s 100 counties. The SECU Foundation has put up $10 million for mortgage loans to help Habitat affiliates across the state build the homes. The new homeowners make mortgage payments directly to SECU, which reimburses the Habitat affiliate, freeing up the money for another Habitat home. Yadkin County is rural, but it adjoins the greater Winston-Salem area, and many residents, like Cassie James, commute to the city for work. “They want to build a better life for them and their families,” Sellars said of those participating in the Habitat program. Families who want to become Habitat homeowners must show Family Services Director Tom Bauguess that they can afford a mortgage with Habitat, have a need for more than just more closet space, according to Boulwar, and they must be willing to partner with Habitat for Humanity. The Family Selection Committee then visits applicants to determine if there is a need. “What we will do is work with our customer base,” telling potential clients that the time may not be right at the moment, but if they can establish a record of paying rent, getting their credit ratings up, they can come back to Habitat and try again. Their move-in date was Dec. 15. Dream completed.